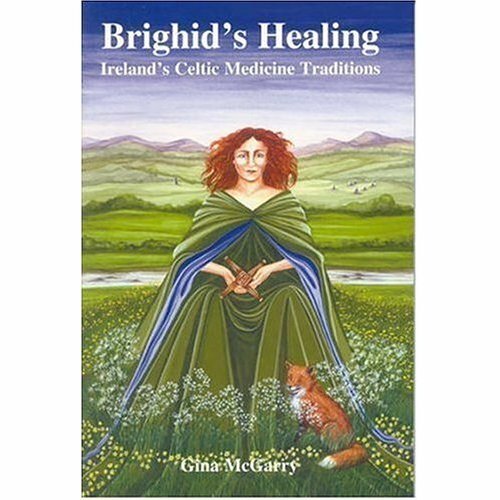 First up – Brighid’s Healing, by Gina McGarry. This is an absolutely fantastic, inspiring, warm and welcoming book with loads of herbal recipes in, but more importantly (to me anyway) it also has a lot of spiritual information to do with healing – deities connected with healing, and plenty of common sense, down to earth advice on commonplace health problems. What I particularly like about this book is that the author has given so many gorgeous recipes with lovely names (I do love descriptive and beautiful names for my remedies! Call it one of my many eccentricities…) Plus, she talks about the various stages of life and ways to honour them, with recipes to celebrate menarche, pregnancy, menopause, and also some information on herbal remedies for men and ways of celebrating events important to men. So often these days herbals tend to be quite biased towards women’s health and celebrations, and it is really refreshing to come across a herbal that tries to honour both sexes equally. 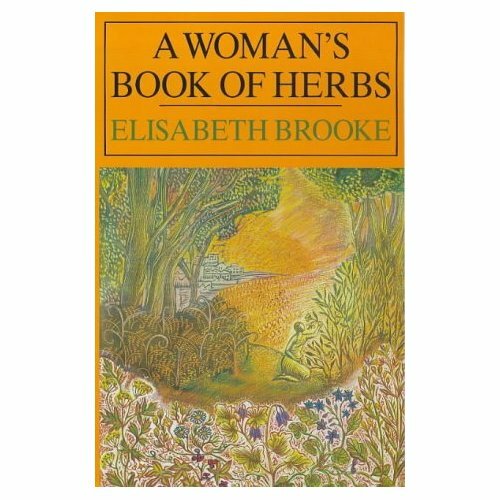 This is definitely one of my favourite books, and one that I can’t recommend highly enough to any herbal fanatic with any shamanic inclinations. I love any and all topics to do with herbs – and for anyone with any interest in all the many uses of herbs, not just for medicine but across the board, this book is a must. Not only does it give brief information on many different herbs and their medicinal uses, it also touches on myth, lore and legend, magical uses and planetary information associated with herbs, including how to figure out astrological associations with various plants and their meanings. Well worth having on your bookshelf for sheer interest if for no other reason! The next book on my list is well worth having, but I do have a couple of bug bears to mention about it. The main one, I think, is that this book has been written by a feminist, and has a very strong feminist slant that is quite often anti male. While this does have its uses sometimes, I really don’t approve of trying to skew the balance of things too far back in the other direction. This world needs balance, where both men and women are equally valued for different reasons, not to have women suddenly valued more than men. While I agree that women have been treated quite badly throughout much of history, I am not and have never been strongly feminist. Refering to a talisman as a ‘taliswomyn’ and calling women womyn is, to my mind, not going to help matters at all. There. Rant over. Rant aside, this is actually a very good book indeed – the information covered on the selection of herbs is detailed and fascinating, with plenty of recipes, tidbits of lore and emotional indications for various herbs. It is an astrological herbal, which means that each of the traditional planets has a certain number of herbs ascribed to it in this book which are then covered in some detail by the author. Worth having, just be patient with the feminism if you are not overly fanatical about it! I love love LOVE this book! My mother bought it for me as a gift on my 17th birthday if I remember rightly and I was immediately captivated by the gorgeous photography, and the masses of information included in it. 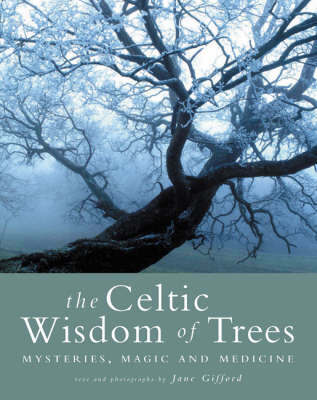 The book follows the celtic tree year, and has a chapter on each tree, with its medicinal, magical and emotional uses, as well as the ogham letter for each tree and the lessons that can be learned from it – all accompanied by the most breathtaking tree photography I’ve come across thus far. If you love trees and don’t already have a copy, you need this book. Nuff said. There are a multitude of other books that I absolutely adore but I think I may stop here for the time being or I will still be sitting here, reviewing books at midnight! One day, I aspire to having a room in my house just for my books, with gorgeous dark wood book cases, overstuffed moss green velvet chairs with brocade cushions and side tables carved from rich coloured woods. Oh, and it must have stained glass tiffany style reading lamps. I’m determined. Knowing me, it will probably be next door to the workroom, where all my dried herbs and medicine making kit will be stored. My bed will be crammed into the attic, and every other square inch of the house will be full of herbs and herb paraphernalia. But I digress. A lovely book selection. The only one I have is Elisabeth Brooke’s which I really like for the astrological info which I find hard to come by these days. The feminist stuff doesn’t bother me too much but I am in absolute agreement with you about the need for balance. Brighid’s healing has been on my Amazon wishlist for a while and your inspiring me to order it. I have The Healing Power of Celtic Plants which I really like and am sure this one will be great too. I think we’re all with you on the library dreams, though were I to have such a room, I’m sure I’d get even less done than I do now! Thank you for this magical book selection! I would love to hear your review of ‘Plant Spirit Wisdom’ and other books as well. Love this post! I relate to so much of what you say – especially sitting on my sofa stroking all my favorite books in a Gollumesque way – I had to laugh at that! And I too have quite detailed fantasies of my future herbal library (yours has actually given me some new inspiration 🙂 ). These are such wonderful book choices too – I really love the lore surrounding herbs, and have never found many books here in the States that satisfy my desire for myth and mystery. These books are all added to my wishlist – they all look fantastic! I still need more books on herbal myths and legends, so as I manage to track down good ones I will review them on my blog 😀 I’ve got my eye on a few others that I want to pick up as and when I have the spare funds… I love everything about herbs, from the medicinal uses to the folklore, myths and legends, and I just want to know EVERYTHING!!! *chuckles* I think I could spend every minute of every day learning about herbs and still not run out of stuff to learn before I die… which I think is fantastic, personally! I think I’m going to write a blog entry about fiction books that feature herbs and herbalists, next – I have quite a few books that certainly fit the bill here! 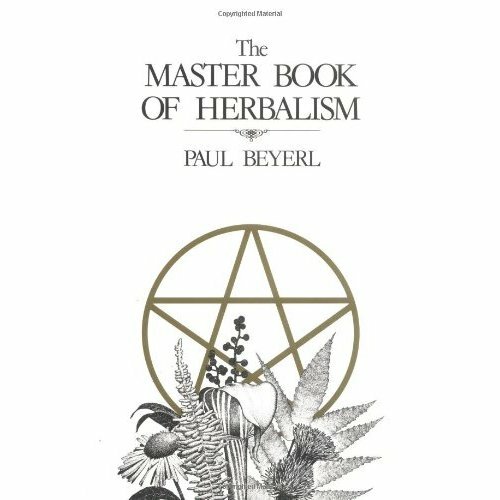 I second what you said about Paul Beryl’s book, it makes for interesting reading, I also have a few of Scott Cunnigham’s books and an absolute gem by C L Zalewski Herbs In Magic And Alchemy: Techniques From Ancient Herbal Lore that I enjoy reading. I also share your dream library room wish including the decor, mine would have very tall bookcases and a built in ladder to reach them all with a desk to sit enjoying my treasures and a large walk in cupboard housing dried and pressed specimens of all the plants annexed to a greenhouse and garden growing the rest fresh. Like Danielle I’m looking forward to your herbal fiction posts, can you do it before my holidays in July so I can get the new books for reading whilst away lol!